If your Windows touchscreen kiosk is using the Internet Explorer WebBrowser Control you might want to consider disabling the user’s ability to “pinch-zoom” since it can cause readability issues. 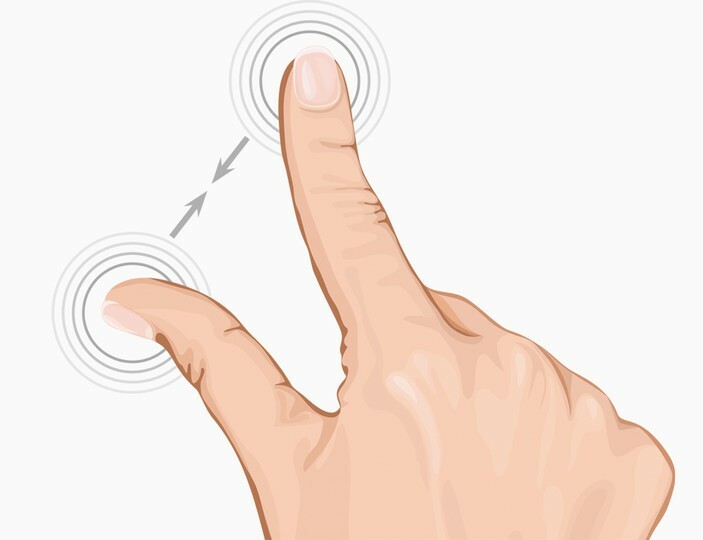 Pinch-zoom can be a useful feature, especially when interacting with the web browser, but it can also cause confusion in a touchscreen kiosk environment since not all users are familiar with the pinch-zoom functionality. Imagine the scenario where one user zooms in on the webpage and walks away, then the next user has no idea how to zoom back out to 100%. Fortunately it’s easy to disable pinch-zoom in the Internet Explorer WebBrowser Control from the Windows registry and I’ll outline the steps below. Navigate to “HKEY_CURRENT_USERSoftwareMicrosoftInternet ExplorerZoom” (HKEY_LOCAL_MACHINE works also). Create a DWORD value named “ZoomDisabled” and set it’s value to 1. According to my testing this only seems to disable pinch-zoom for my kiosk application (which uses the Internet Explorer WebBrowser Control) but does not disable pinch-zoom in the native Internet Explorer web browser. This leads me to believe that this setting only applies to the Internet Explorer WebBrowser Control which is what I’m using in our kiosk software for Windows to render the kiosk’s content.